How does one app do all this? Simple. Communication. Currently, many law enforcement agencies use a laborious, time and resource consuming, complicated method for distributing BOLOs. The BOLO, which stands for “Be On the Look Out”, could describe a suspect, witness, person of interest, or vehicle in cases of crimes or missing persons. 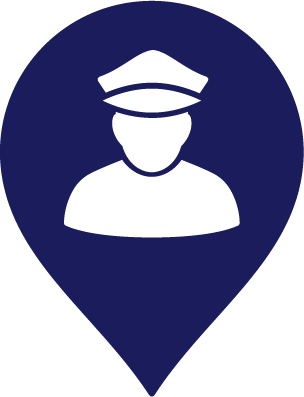 The timely communication of this information to officers is crucial to the success of the effort to locate people and vehicles detailed in BOLOs; however, current distribution methods may take over 24 hours to filter this information down. BOLOBeat has reduced that time to mere seconds by taking advantage of technology already existing within the department and in possession of each officer. A small, highly-motivated team of developers, in consultation with law enforcement, has been working tirelessly to develop BOLOBeat into a viable product that can be tailored to support the mission of all law enforcement agencies and public safety officers, regardless of size. A demo version connected to a sample database will be available while our first customers integrate BOLOBeat into their infrastructure and processes. This is a very exciting time in the product development process as we work to improve the distribution of critical, time-sensitive information to officers on the front lines! Visit BOLOBeat.com to join the fight!